A new Additive Manufacturing Factory focuses on aftermarket parts today in preparation for production parts in the future. The day will come when Caterpillar achieves more efficient part designs thanks to additive manufacturing. That is what this heavy equipment maker’s team members associated with AM see as the greatest long-term promise of the capability. 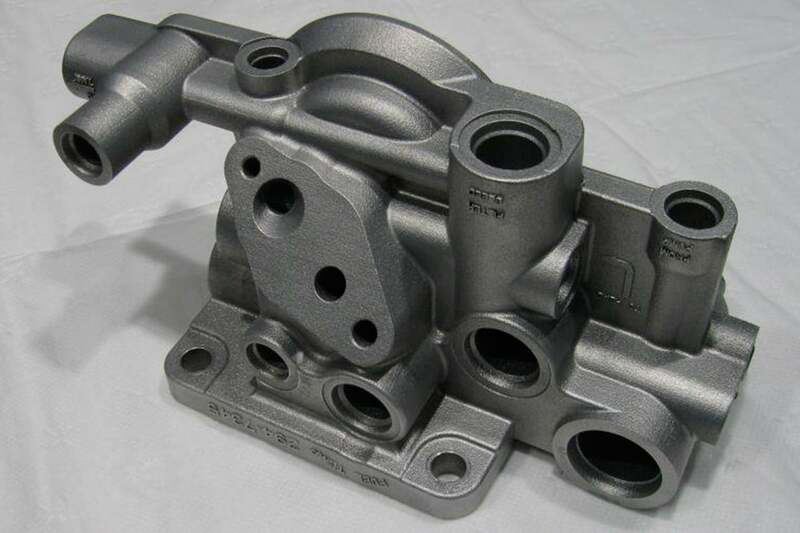 Subassemblies can be consolidated into single pieces and component forms can be intricately tailored to achieve each part’s optimal combination of functionality, mass and cost..
For Caterpillar even more than for other manufacturers, additive manufacturing will need to advance well beyond where it is today in order to deliver its full promise. For now, therefore, those team members are focusing on shorter-term potential benefits of AM, one of which is speed at delivering service parts. A fuel filter base for an engine family used in motor graders and excavators provides an illustration. The intricate aluminum alloy component was originally manufactured through casting, but the supplier is no longer operating. As a result, to support aftermarket customers, Caterpillar is facing a long delay to ramp up a new casting supplier combined with a large minimum order to justify the tooling cost. Or, there is an alternative. 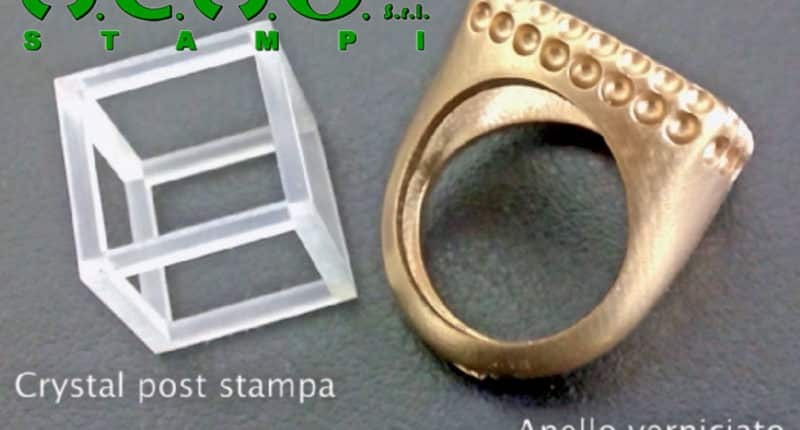 A version of the part grown through laser melting has passed all necessary functionality tests, and this part requires no tooling, no supplier and no minimum order. With AM, aftermarket parts such as this one could be grown without delay, and grown as they are needed. With AM, aftermarket parts such as this one could be grown without delay, and grown as they are needed. Thus, even though the promise of additive relates to parts that are designed for this process, here is a success involving no redesign at all. 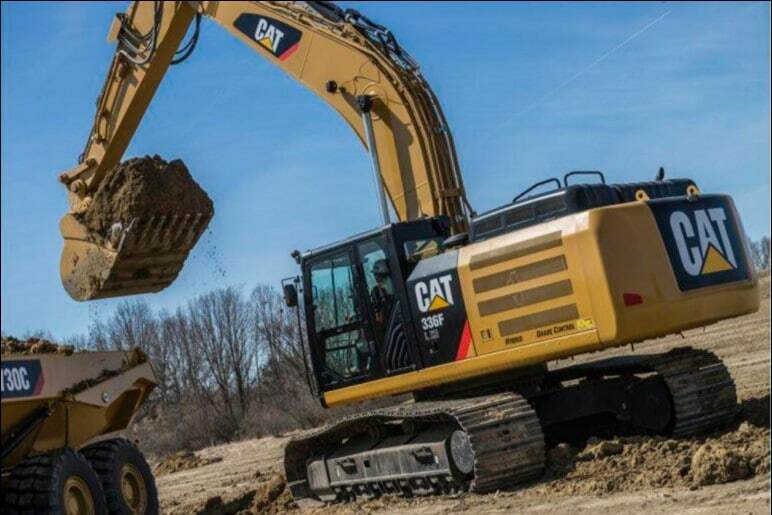 That success provides Caterpillar with an intriguing possibility. If enough short-term successes such as this one can be realized—successes perhaps mostly related to aftermarket parts—then the savings from these applications might be able to fund and encourage the larger effort the company realizes it needs to make. On the right : the Prox 300 by 3D Systems, metal 3D printer. That is, the benefits today might help advance the spread of additive manufacturing knowledge throughout the company, so that Caterpillar is prepared when AM as a mature production resource finally arrives. 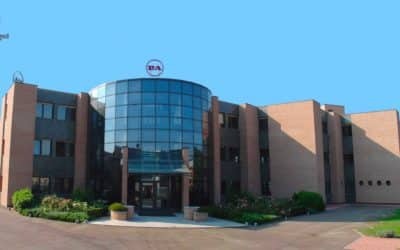 An important step toward this larger goal was the opening late last year of a new Additive Manufacturing Factory near the company’s Peoria, Illinois, headquarters. This “factory”—which is smaller and quieter than most facilities one would associate with that word—includes 3D printing capabilities such as FDM, SLA, SLS and material jetting for polymer parts, along with two laser melting machines for metal components. I visited the site to talk to various Caterpillar team members there, including Deb Conklin, Austin Schmidt and Joe Taylor (more detailed introductions below). Conklin explained one of the more fundamental points underlying this facility. That is, why does AM need its own facility and its own team? Why does additive need its own facility? That question is related to this one: Does additive manufacturing represent a different way of making parts or does it represent a different way of designing them? Yes, says Conklin. Both. As director of the company’s emerging technologies portfolio, she has responsibility over technologies the company’s executives have identified as disruptive. AM is perhaps the poster child of a disruptive technology, because its likely impact touches on so many different disciplines within the company. Earlier in her Caterpillar career, Conklin worked in logistics. To her, therefore, additive not only addresses long-standing problems in manufacturing and design, but also is clearly a logistics solution. The fuel filter base is above all a logistics-related success. 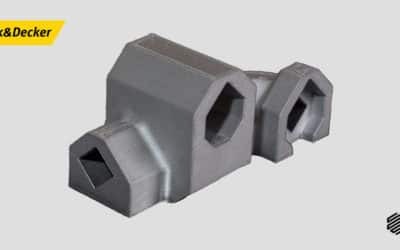 While the design of this part is unchanged, simplifying the supply chain and reducing the minimum order quantity together promise to dramatically reduce the cost of this part’s management and handling. This kind of impact makes AM different from an advance in some established manufacturing operation, she says. It makes it different from an advance in an operation such as, say, welding. “With welding, we know where we perform this operation, and we know where an advance in welding technology ought to be tested and used,” she says. Something similar is not true of AM, and making any early assumption about where this option ought to be used risks bottling up the technology. For example, the machining group might use AM to make fixtures and designers might use it to make prototypes. Both applications are valid, but either group would naturally emphasize one application without pushing the possibilities of the other. In fact, various parts of the company have been using various types of 3D printers since the early ’90s, she says. 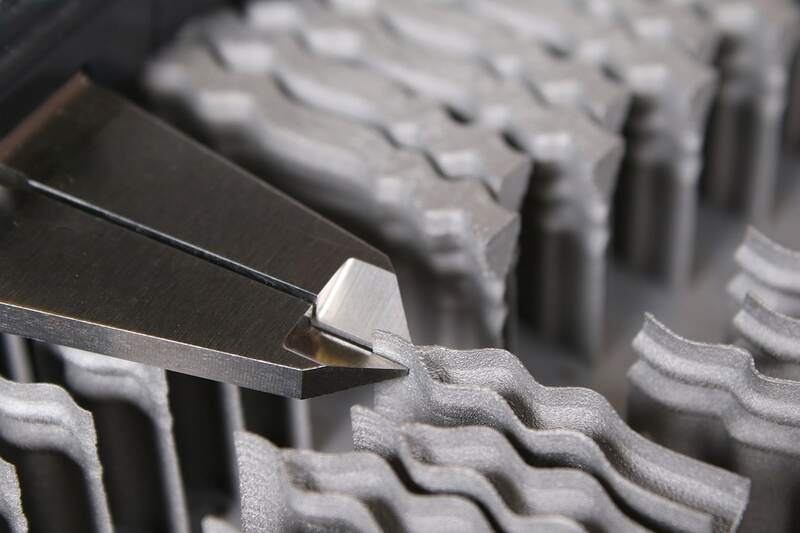 The aim of a separate additive manufacturing facility today is to take the next step, centralizing AM expertise and capability so that it can act as a hub to connect with every part of the company that might benefit. That is why the new facility is more accurately described as a factory than a lab, she says. Real parts are made here, whether prototypes, aftermarket components or (eventually) production parts. Schmidt is an additive manufacturing engineer who is also part of the new facility’s team and helps carry out its mission. Significantly, though, he is not based in Peoria; he works from an office in Ohio and spends much of his time traveling to other facilities in the company, looking for additive manufacturing opportunities there. Other engineers knowledgeable about AM often travel to other sites for the same reason. Schmidt returns to the Additive Manufacturing Factory frequently, and he coordinates with personnel there remotely. A routine part of his job is leading AM training, he says. A component of this training is evangelizing—encouraging engineers to see that additive both permits and requires new ways of thinking. His training can range from 1-hour webinars on topics in AM to multi-day seminars. He recently returned from leading a two-day seminar for staff in Germany. He says more and more of the people in engineering roles throughout the company understand the nature of 3D printing and roughly what promise it holds. His training generally begins one step past that. 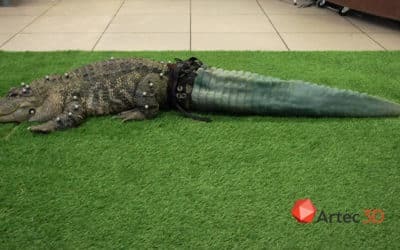 “I get into the seven or eight different types of 3D printing processes, and the different strengths and limitations they all have,” he says. This is new information for many, who until then might not have realized that “3D printing” describes a set of different processes rather than a single generic operation. Caterpillar currently uses all of these processes, including 3D printing in sand, a capability recently purchased for the company’s foundry in Mapleton, Illinois. 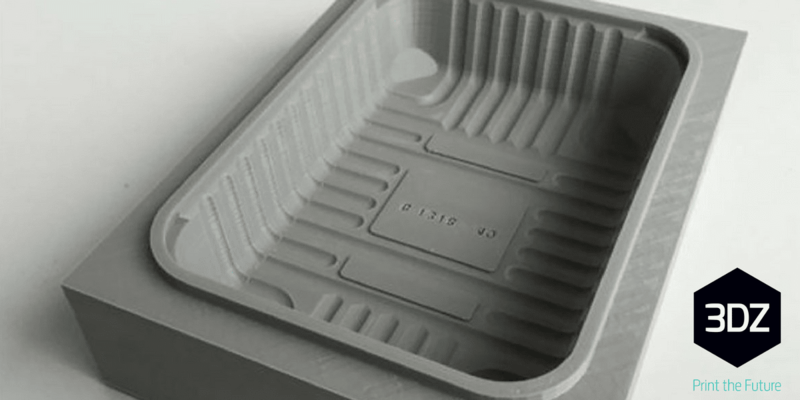 How to design for additive comes next in Schmidt’s instruction. In this area as well, the possibilities go beyond what many expect. The chance for AM to produce elaborate forms that can’t be manufactured any other way is well known, and in the future, Caterpillar will increasingly make use of that freedom. But Schmidt also stresses the ease of experimenting with multiple designs. For example, since sand printing allows foundry molds to be produced without any pattern, why not make many slightly different casting designs, and experiment with all of them? This is a level of freedom not typical of foundry work, and one that design engineers today can benefit from coming to understand. He is enthusiastic about getting to be part of this learning process for the company. A firm like Caterpillar does not face FAA or FDA restrictions, he points out—meaning it can move forward on new products developed through AM more quickly than companies in other industries. Then again, some AM benefits important to other industries simply do not apply. Weight reduction is an example. Equipment such as earthmovers benefit from being massive, so weight savings generally are not worth pursuing. Caterpillar, distinct from other manufacturers, will find its own way forward with AM. The company’s Joe Taylor has perhaps the clearest view on how far AM technology still has to go in order to realize its promise as a production process. 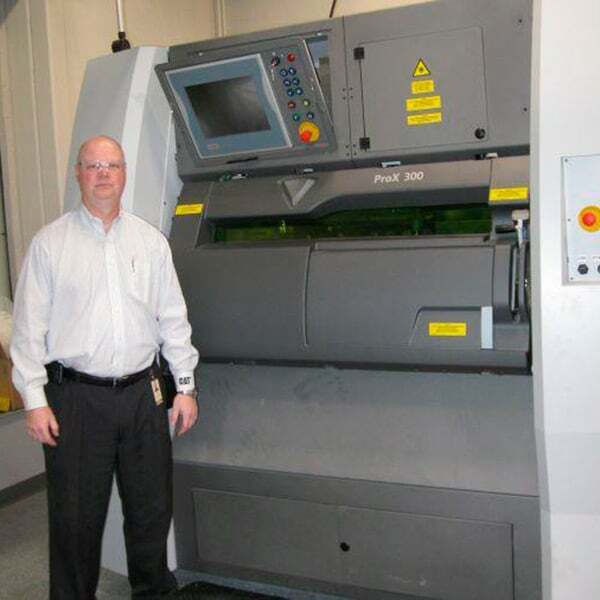 The additive manufacturing engineer oversees the operation of the Additive Manufacturing Factory, just as he has overseen more traditional manufacturing resources and departments for much of his nearly 20 years with Caterpillar prior to this role. In prototyping, he says, 3D printing saves cost for the company all the time. This has become routine. In one recent case involving an assembly of 25 pieces, 3D printing all of the components revealed interferences affecting five of those parts that had not been not seen in the CAD models. In the past, problems such as these might not have been discovered until the parts went to production. Similarly, prototyping of ducts and valves provides an inexpensive way to test and refine fluid flow before designs are released. However, when it comes to production, there are obstacles to cost saving. Material price is the first of these that he cites. “The cost of powder material has to come down,” he says. This is truer for Caterpillar than for other AM users, because aerospace and medical OEMs employ metals for which high cost is the norm. But Caterpillar’s products are made from iron, aluminum and steel. Listening to Taylor, I expected him to add machine envelope size to the list of obstacles, because I equate Caterpillar with big vehicles. But that’s not a concern as yet—plenty of production parts would fit in the envelopes of today’s metal additive machines. When it comes to the machines today, he says the limiting specification that is more concerning is speed. The fuel filter base took 80 hours to build. Such a cycle time is acceptable for service parts (maybe), but not acceptable for production. Yet lower cost and faster speed are both differences of degree. He says there are also ways that the basic functionality of additive machines will have to change. The metal machines in particular require too much attention, he says. Too much human involvement is required in change-over between jobs. Even if additive would be used only to make aftermarket parts for Caterpillar, which by itself would be valuable, this use alone would require 24/7 operation of the machines (and many more machines would be needed). So far, the machines have not been engineered with this type of operation in mind, he says. He envisions something like hoppers for continuously feeding new material, along with features that speed and simplify job transition. These changes are probably coming. Maybe they will come in 10 years, or maybe they will be here in as few as three. When they do come, where will Caterpillar be? Conklin says that’s the question the company is aiming to answer with the Additive Manufacturing Factory, and with the training efforts and application successes radiating out from this. When AM capability is ready for production use, one possibilty is to miss out on its benefits. But an alternative possibility for that day is to have the company already staffed by people who have been thinking about additive for a long time, and who are ready to realize its potential.